NASCAR DeskSite video app launched today allowing race fans to enjoy the delivery of an automated, interactive and personalized stream of digital content directly to computers and digital devices. NASCAR is the first professional sports league to offer the platform that delivers NASCAR.com high-definition videos on-demand in addition to automatic updates to desktops, laptops and tablets. The Sports Techie community blog chatted with Megan Bennett, VP of Marketing, and Jake Phillips, Content Partnerships at DeskSite, about the product roll out with NASCAR and their sports tech business. 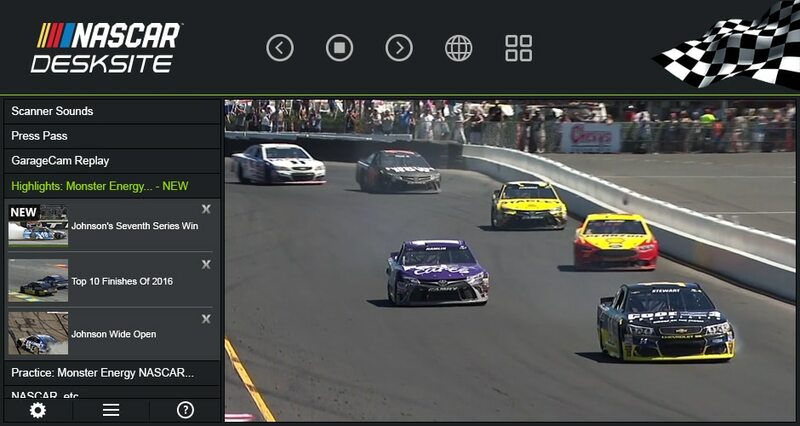 Every NASCAR fan can use DeskSite to create a custom HD library, listen to scanner sounds and view GarageCam replays, while also watching Press Pass, highlights and practices, and more. DeskSite Enhances Daytona 500 And Monster Energy NASCAR Cup Series Fan Experience – SportsTechie blog. The innovative platform compliments the NASCAR website with video content, interviews with drivers and pit crews, spotlights of drivers, and post-race breakdown and insight, as well as behind the scenes coverage and breaking news. The NASCAR DeskSite product features automatic downloads that stores videos directly to devices according to user preferences. No video plays unless it is entirely downloaded in the background resulting in no buffering. Fans can watch view NASCAR.com video content offline without an Internet connection. Content is instantly archived for availability online and offline anytime, from anyplace. Videos are hosted in the clouds then run locally on users devices and computers enabling thousands of hours of saved videos. The application allows each user to control the available hard drive or memory space needed to store HD video files whether that be the max storage amount of 20 gigabytes or as small as 2 gigs of saved content. Select channels you like and be ready to set and forget. You won’t need to surf the website to find favorite clips and Dale Earnhardt Jr. related content. The platform acts as a proactive delivery mechanism, an icon alert displays whenever new video is completely downloaded and ready to view. The audiovisual alerts is designed to eliminate any delay of each video’s initial stream ensuring instant fan access. This is especially important for rural fans with limited bandwidth around the nation. Bennett says she knows fans in her home state of Kansas while Phillips says the same about Indiana, that have narrow broadband. I can say the same about rural areas in Georgia, California and Washington state. 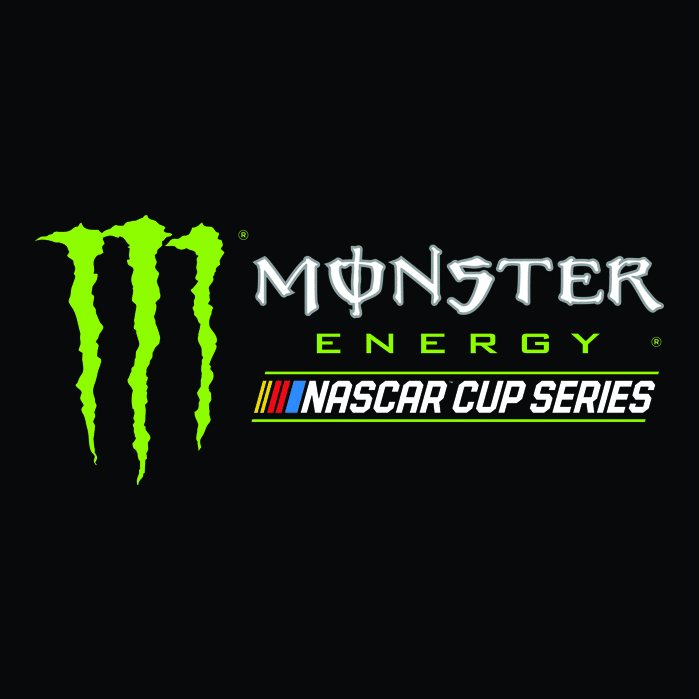 The cutting edge platform has new content previewing the first Monster Energy NASCAR Cup Series™ points race of the 2017 season, the DAYTONA 500 at 2 p.m. ET on FOX, MRN and SiriusXM NASCAR Radio. The NASCAR DeskSite can be downloaded on both Windows and Mac computers, as well as Windows tablets. DeskSite is not available yet for the iPad or on Android tablets and smartphones. Fans can download the app for free at NASCAR.com/DeskSite. For more NASCAR follow NASCAR on Facebook, Twitter, Instagram, and Snapchat (‘NASCAR’). DeskSite is a next-generation digital media company located in Orange County that’s revolutionizing the way fans connect with their favorite entertainment brands. The company has partnered with many of the world’s most valuable sports teams to continuously deliver highly-produced, sports-specific HD video content across a broad demographic spectrum. They are privately held. The Board of Directors consists of top industry leaders. I noticed on their website the Board does not have a single woman. Bennett responded by saying the company is actively searching for the right women candidates and noted the senior management team, design and operations has many experienced ladies on staff. The digital fan hub is free because of an ad-supported network model. DeskSite is able to monetize the app by providing national TV pre-rolls of advertising content. Bennett and Phillips were excited about the new Sony Smart TV app that will launch shortly. A number of other platforms have been invested in by DeskSite including, OTT such as ROKU and Apple TV, as well as gaming consoles and other mobile tablets under development for a Q2 or later in the year roll out. DeskSite is also investing in producing original content such as NASCAR highlights and compelling behind the scenes looks fans want to see. DeskSite Enhances Daytona 500 And Monster Energy NASCAR Cup Series Fan Experience. Sports Techie, DIS gives Daytona 500 fans free Wi-Fi coverage available in stadium concourses, the Midway, the UNOH Fanzone, infield camping and GEICO Park West Campgrounds but you won’t need it when using DeskSite in-venue or off-venue because WIFI is not a requirement for streaming video. The NASCAR community of family and friends camping on-site over the weekend of racing action in the infield and in sites outside of Turns 1 and 2 can also enjoy DeskSite to enhance the atmosphere at camp sites with actual big screen TVs via the use of a HDMI cord. The unique fan experience of the DAYTONA 500 Pre-Race show features award-winning acts like Florida Georgia Line and Kid Rock, and up-close view of the tradition and pageantry of driver introductions, some of which you can view on NASCAR DeskSite. Whether you at home, at work, commuting by car, or traveling in an airplane, the free NASCAR DeskSite app pre-loaded library is now ready to deliver free video without WiFi or web access. The platform competition for sports league business just took a step up because of the NASCAR and DeskSite partnership, and fans and sponsors win as a result.